The fruits of Abdel Nasser Barakat's labor have begun to take shape. Fresh off a statement win over Oman in Asian Cup qualifying, the national team is set to see its progress reflected in July's FIFA ranking. Since reentering FIFA, in 1998 Palestine has averaged a position of 149 in the rankings hovering around the 50th percentile of the 46 Asian federations. 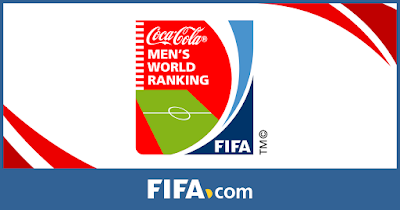 Palestine 364 ranking points marks the most Al-Fida'i have ever amassed and will give them to their highest ranking in three years when FIFA releases the rankings on July 6th. While results will not be enough to power the team past their all-time best rank of 85 (July 2014) they will be in the top 100 for only the third time with an estimated rank between 91 and 96- a jump of at least 20 spots on their current rank. The side will also leapfrog three Asian sides as a result, Korea DPR, India, and Jordan into 11th place on the continent. July will also mark the first time Palestine has been ranked above their neighbors and rivals to the east.